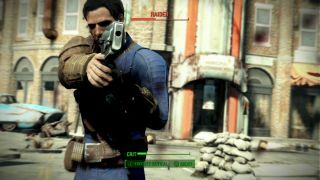 Fallout 4 mods on console are currently in beta testing on Xbox One, but if you're not a part of that program, don't worry - Bethesda hasn't forgotten about you. In fact, you're invited to watch a livestream preview of the upcoming feature later today, at 1pm Pacific / 8pm BST. The stream will be hosted via Twitch, but I've gone ahead and embedded it below as well, so you can just check in here when it's time to start. It'll be interesting to see which mods Bethesda chooses to showcase, since we won't be seeing any graphical overhauls incompatible with console-spec hardware, anything with adult content, or licensed content (sorry, no naked Iron Man running around a visually-enhanced Commonwealth). While mods are coming to Xbox One first, PS4 owners won't have to wait long. The option to install mods on your Sony machine is due in June.